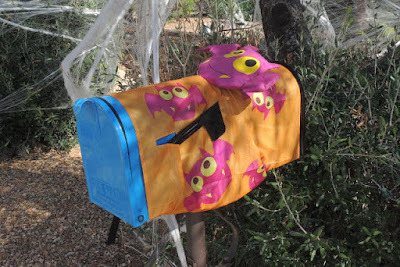 I spotted this Halloween-themed mailbox — surrounded by cobwebs — (naturally enough) just before Halloween. For some reason, I forgot to show it until now. I took the photo on October 25th.